In Londonderry on Jan. 30, 1972, British troops fired on unarmed protesters in a confrontation that became known as Bloody Sunday. Here, local priest Fr. 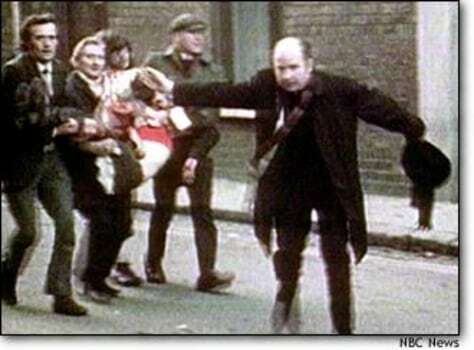 Edward Daly -- who later became bishop of Derry -- waves a white hankerchief while a victim is evacuated.